backgrounds, from the United States, Canada, and Israel. A.I.R. 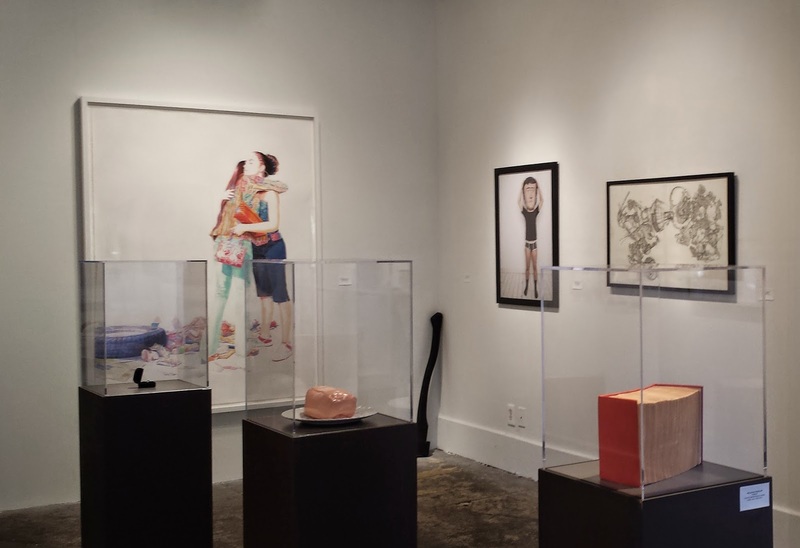 Gallery’s 11th Biennial Exhibition! 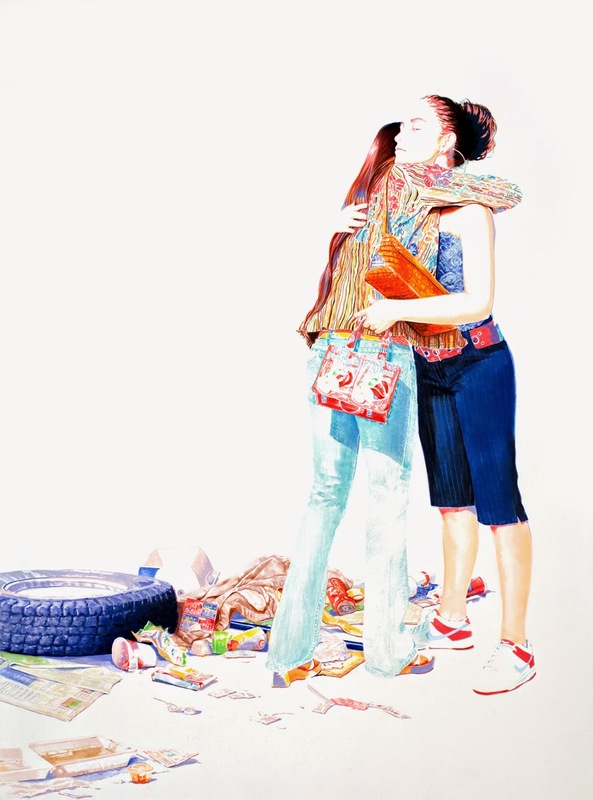 Congratulations to all of the artists who were selected for the 11th Biennial Exhibition! A.I.R. 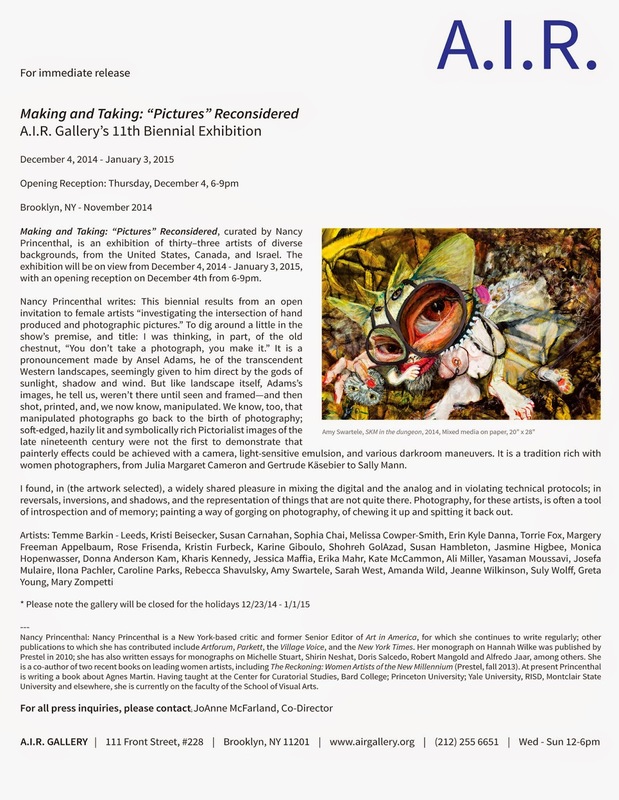 Gallery is excited to work with Curator Nancy Princenthal in this exhibition! The competition was filled with many creative and outstanding artists and artwork. Out of a total of 785 applications, 43 different artworks have been selected, resulting in an exhibition of 32 artists. There will be a variety of photographs, paintings, mixed media, as well as videos. We look forward to seeing everyone enjoy this exciting collaboration! Noon-5pm Thurs-Sat, or by appointment. when they met as students at Cornish College of the Arts. work is featured in several prominent collections. vote for the people's choice award when you visit the show.